Toothpicks infused with cannabis have been a big seller for Kush Creams. The toothpicks, made from bamboo, are meant for both medicinal and recreational use. "Since we launched them, we're constantly out of stock," said CEO and founder Megan Schwarting. 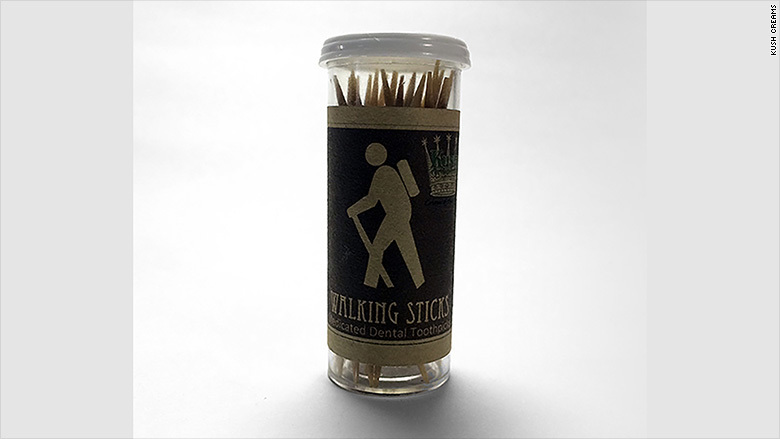 A pack of 20 Walking Sticks toothpicks (priced at $25), collectively contains about 1 gm of concentrated cannabis. "Using one toothpick is equivalent to smoking a small joint," said Schwarting. "You can use them discreetly." For now, the toothpicks are only available in Seattle.